The 3/4 in. 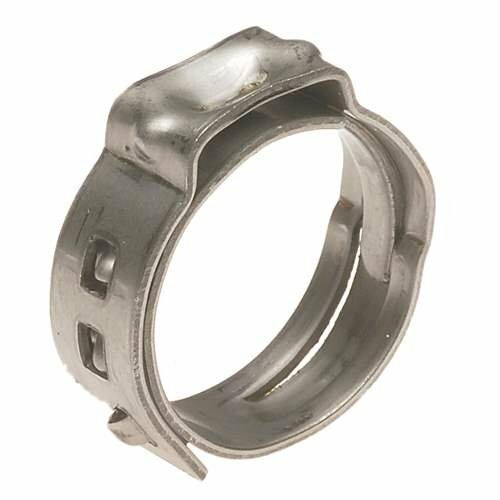 Stainless Steel PEX Barb Pinch Clamp (100-Pack) is simple to install and is designed for use with PEX pipe and barb fittings (not included). PEX fasteners can be can be used with brass and plastic fittings, valves, and manifolds (all sold separately). They are designed for use with the HydroPEX barbed fittings, formerly known as SSC fittings. If you have any questions about this product by Sold_By_Cheapnwork, contact us by completing and submitting the form below. If you are looking for a specif part number, please include it with your message.